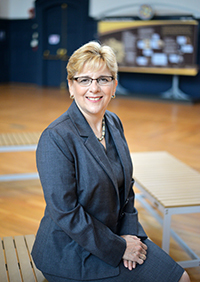 Roberta J. Cordano became the 11th president of Gallaudet University on January 1, 2016. During the announcement of her selection, Cordano was recognized as a "transformational leader who is the right person at the right time for Gallaudet." Previously, Cordano was vice president of programs for the Amherst H. Wilder Foundation in Saint Paul, Minnesota. Cordano has held leadership roles in health care, higher education, and government. She is a founding member of two bilingual-bicultural charter schools for deaf and hard of hearing students in Minnesota. See profile. Below, you will find a listing of the President's Executive Team, a team of campus leaders who work together to make campus-wide decisions.